One of the largest contributors to failure is a lack of trust and communication within the family. Wealthy families must balance appropriate disclosure about the wealth their heirs will one day inherit with genuine concerns about creating a sense of entitlement in heirs. If you want to successfully set up your heirs for a future of financial well-being, you must learn how to communicate with them clearly, effectively, and disclose the appropriate amount of information at the right time. Since every family is unique, how much you disclose to your heirs, and when, typically depends on your family’s specific dynamics and wealth situation. But we believe that discussing your family wealth with your children should occur in carefully thought out stages over many years. Here are some age-appropriate strategies to help you understand how to talk to your next generation about family money and support a successful transfer of wealth. This stage is the opportune time to talk to your children about saving, spending, and sharing their own money, with an allowance or earnings from a summer job. Let them learn money management skills firsthand. The preteen years are a great time to begin the money conversation with your children. However, at this point in their lives, they only need to know that your family is wealthy. Try to avoid specific numbers regarding your wealth. Instead, start by explaining how privileged your family is. Fully illustrate this point by mentioning their large house, the advanced toys and electronics they play with, the great school they attend, the nice clothes they wear, and all of the luxurious vacations they’ve taken. As your children mature into their teenage years, begin to engage them more and more in discussions about money. Eighty-four percent of teenagers learn about finances from their parents. [iii] As a result, this is a critical time to teach your heirs great financial decision-making. If you have a family foundation or donor-advised fund, include your children in the meetings and have them give insights on where they think you should make donations. Begin this process by first asking what is important to them. Have they always wanted to help the homeless? Do they love animals? No matter what their specific passion may be, explain how they can be a tremendous source of financial help to these causes. You can even go a step further by taking your children to homeless or animal shelters so they can see for themselves how important it is to lend a helping hand. In addition to asking them to help with making donations, encourage more financial discussions by involving them in other family decisions, such as picking out a new car. Invite them to come up with a handful of suggestions and then bring the whole family together to discuss and make a decision. Once your heirs reach their twenties, you may become concerned about them becoming fully dependent on your family wealth. 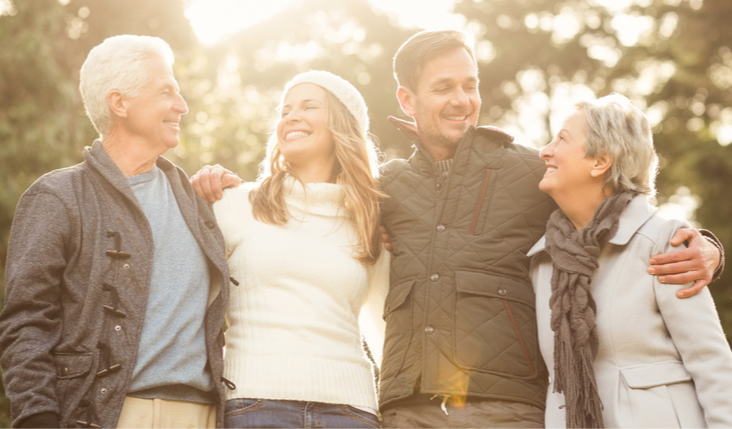 Luckily, there are conversations you can have at this stage of their lives to help them achieve financial independence now, while also learning how to effectively manage their inheritance in the future. Typically, your children establish careers, start earning a salary, and begin paying rent and other bills in their twenties. All these new responsibilities make this the perfect time to discuss the more in-depth parts of your family wealth. Tell them about your family’s real estate ventures, profitable properties, life insurance, bonds, stocks, and other investments – all without disclosing any specific numbers or values. Begin this discussion by telling them that they are now mature enough to have in-depth conversations about your family’s saving and investing accomplishments. Utilize this time to teach them about different types of accounts and basic inheritance concepts, including wills and trusts. Also, share your hopes for your family’s money by discussing your retirement, charity, and inheritance plans. While this will be different for every family, we recommend using this time to specifically explain what you are not willing to use this money for, such as risky investments or over-priced properties. During this point in their lives, your adult children need to learn what is expected of them and how much you plan on supporting them. If you only want them to live at home for a year following their college graduation to save money, tell them. If you do not plan to continue an allowance once they start their career, tell them. No matter what it is, tell them. Also, take the time to teach them that even without your help, they can figure out how to live comfortably. Two big mistakes many parents make during this important conversation is sending confusing messages or avoiding it all together. Both of these errors will only leave your children confused and angry once you suddenly stop giving them money. Another common misstep many parents make is trying to control their twenty-something children with family money. Avoid making statements such as, “I spent a lot of money on your education, and you need to embark on a career that warrants that expenditure.” Additionally, try to avoid criticizing your children’s financial decisions. Instead, let them make their own mistakes. That way, they will be more inclined to learn from their past errors and become more financially-savvy. Your children’s twenties may also be the perfect time to introduce them to your wealth management team. This helps them learn more about how to manage their own money along with your family’s investment and financial philosophies. Depending on the maturity level of the heir, it may be appropriate to disclose a bit more about family wealth and holding. Eventually, your children will reach full maturity – this may, or may not, coincide with chronological age. They may even begin starting a family of their own. 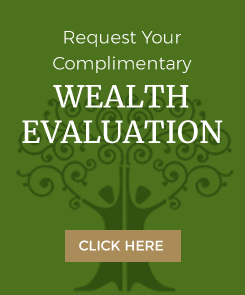 This typically occurs when your children are in their thirties and once it does, it is officially time to begin sharing specific details about your wealth. While the manner in which you approach this discussion depends on your unique child, a great platform for this conversation is a family meeting. Asking your family office executive or an experienced facilitator to guide this conversation can ensure the conversation is honest, clear, and positive. In addition to these in-person conversations, we also recommend writing and giving your children an old-fashioned letter. This letter can include stories about all the hard work it took to build your family’s wealth, challenges that were faced and overcome, and what you really hope will and will not happen with your family’s wealth once it is in their hands. It is important to document your intent in order to prevent future, and potentially devastating, misunderstandings. When it comes to successfully transferring wealth from one generation to the next, communication is key. Heir education and communication should begin long before any transfer of wealth occurs. Talk to your children from adolescence through adulthood about their inheritance, family wealth, family values, and overall financial well-being. Great communication helps you teach your heirs how to manage wealth not only for themselves, but also for future generations. Finally, set your heirs up for success and get the conversation started today. If you are interested in learning more about heir education and specific ways you can begin preparing your heirs, please do not hesitate to contact our experienced team at Legacy Family Office. [i] “America’s trillion-dollar wealth transfer: How to prevent a generation of entitlement,” MarketWatch, 30 Apr. 2017. [ii] “70% of Rich Families Lose Their Wealth by the Second Generation,” Money Magazine, 17 Jun. 2015. [iii] “Two Surveys Reveal Financial Literacy, Behaviors of Millennials and Gen Z,” GoodCall, LLC and Transunion, 18 Jul. 2017.